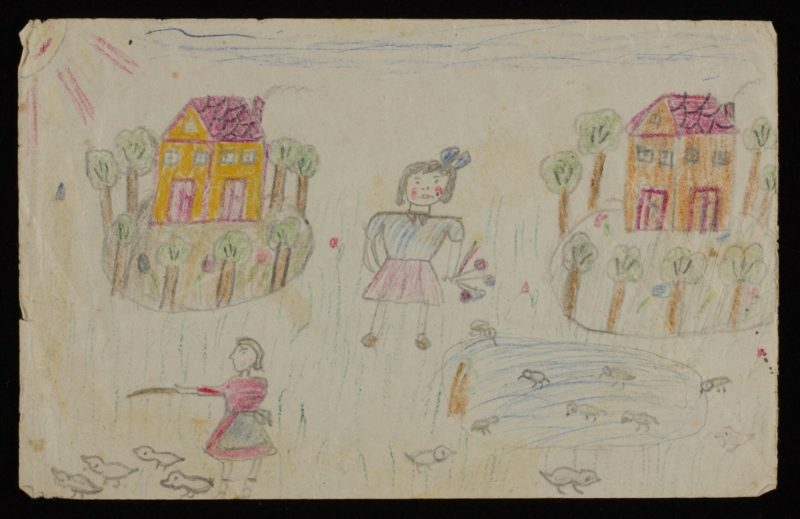 In July 1942, Gita Hojtasova (10 years old), Zuzana Hojtasova (7 years old), and their mother Gertrude were deported from their native Prague to the Terezin concentration camp/ghetto. They were liberated in 1945. 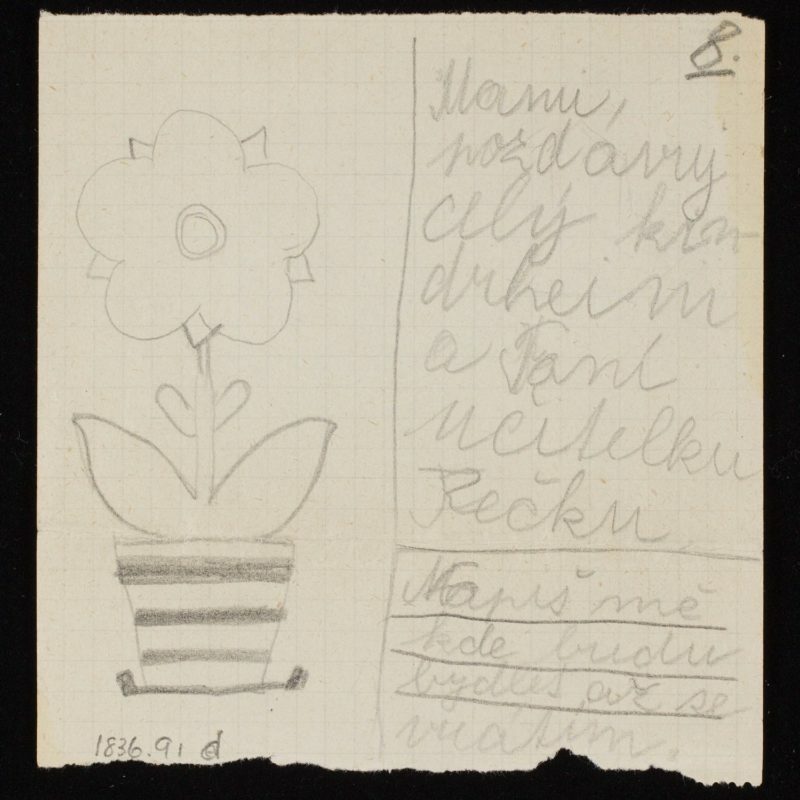 Gita and Zuzana wrote letters and drew pictures during their years in Terezin. These artifacts, donated to the Museum by the sisters and their husbands, are part of the Museum’s collection and are highlighted in the Museum’s new installation In Confidence: Holocaust History Told By Those Who Lived It. Below are a few selections of their artifacts on display at the Museum. In the fall of 1942, Gita was hospitalized. 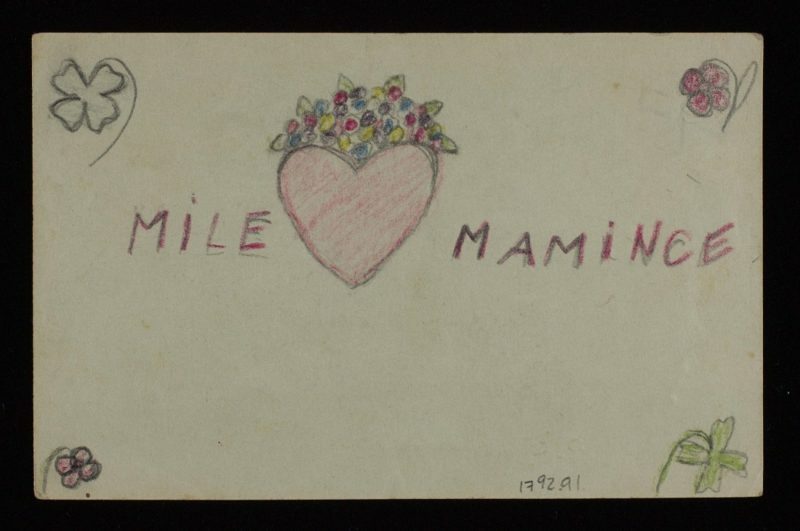 Suffering from illness and separated from her mother and sister, Gita was still was able to write letters—in pencil, on whatever paper was available. She often asked her “Golden Mommy” to come to the window so she could see her from afar. 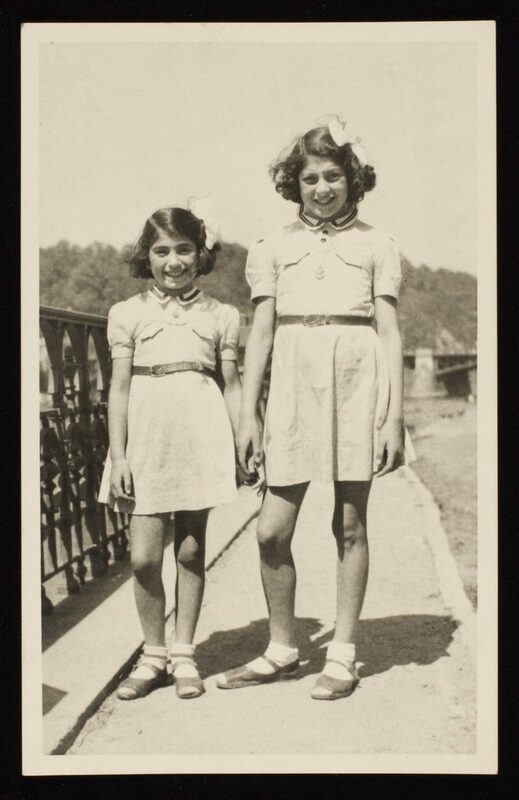 Photo of Gita (right) and Zuzana Hojtasova in Prague, 1945. Note that their clothes do not fit—their dresses are short, and their shoes are cut. It is shortly after liberation. In Confidence: Holocaust History Told By Those Who Lived It is on view at the Museum through January 31, 2019.